A studio flat in Hillfield Road, West Hampstead has just gone on the market for £160,000 – a bargain if you want to live on one of the area’s most desirable roads. 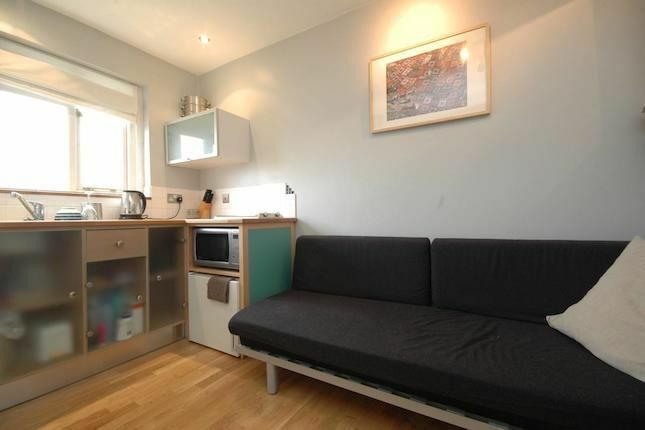 As you’d expect, the downside to Foxtons’ low asking price for this room (+ shower room) is its tiny size – just 11 ft square (121 sq ft). How big is that? Well you couldn’t fit a full-size snooker table in there. It would be 8 inches too long. It may be the cheapest property in West Hampstead (according to Zoopla and Rightmove), but it also works out at possibly the most expensive per square foot, at £1,322. This is more than 30% over what you would expect to pay for most larger studio and 1-bed flats, which at the moment usually work out at between £600-£900 per sq ft. The cheapest studio in the yet-to-be-built apartments at West Hampstead Square, which set a new benchmark for flat prices in the area, came in at £908/sq ft with an asking price of £405,000. It is only just over 3.5 times the size of this property, so still hardly large. However, if you’re shopping around with a budget of less than £200,000, you’ll know there’s not much else available. 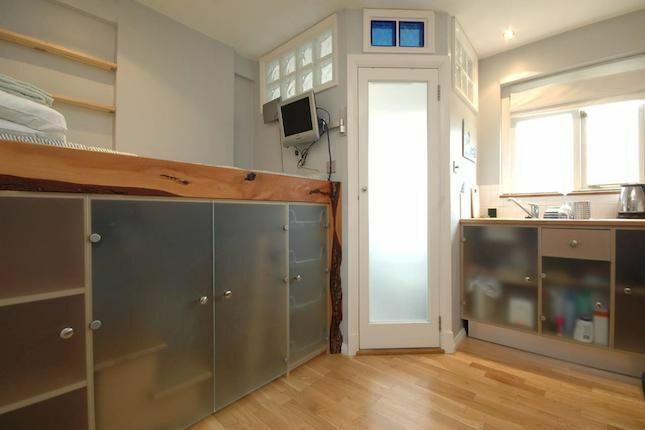 An ex-council studio flat in Brassey Road has just received an asking price offer of £175,000 after less than a week on the market, according to Peter Gobey at Greene & Co.
Could this tiny living space be a solution for buyers priced out of West Hampstead’s “bonkers property market“? It may be more appealing to commute to London from Barcelona, or to invest your £160,000 budget in this rather nice 4-bedroom house – in Scotland.